Beau & Elliot is a boutique British brand which was inspired by all things charmingly chic and beguilingly beautiful. Their beautiful changing bags, available in three contemporary colours (pink, aqua and lime green) have been designed to provide the complete solution for parents caring for their babies’ needs whilst away from home. 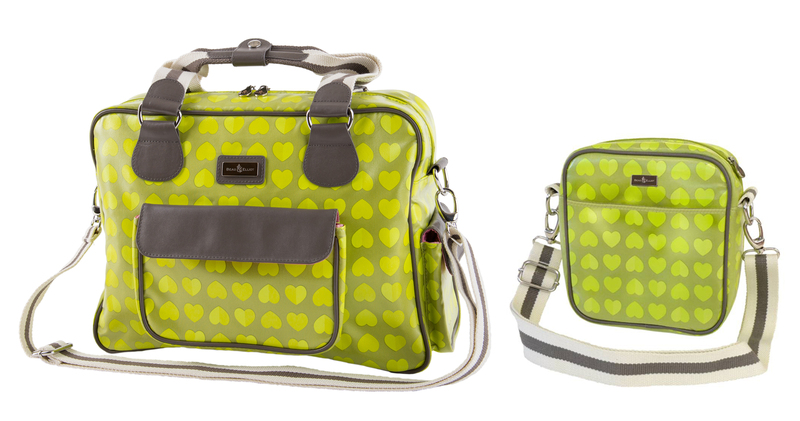 This beautiful lime green changing bag has plenty of pockets for storage, a dedicated quick access insulated bottle pocket for keeping babies feeds cool and fresh. The bag also comes with an oval changing mat, waterproof dirty clothes bag and detachable shoulder strap. The set also features a matching bottle bag, the insulated bottle bag fits two bottles and has a handy pocket on the front and an adjustable shoulder strap. To be in with a chance of winning this fantastic prize simply fill in your name and email address below then Like and Follow Mama Style on Facebook & Twitter, then like and share the competition post. Competition closes midnight, 30th of June 2018.